The cost of higher education includes tuition, books and lab supplies, but college spending doesn’t end there. Housing, transportation, food and other costs of living also contribute to the overall financial burden of education, placing students in a difficult place paying for school. Financial aid steps-in right when it’s needed most, furnishing grants, loans and scholarships for deserving students. But covering expenses requires additional income streams; especially for international students who don’t always qualify for government-sponsored financial aid resources. So where can students turn to bridge the affordability gap paying for education? Part-time work is the answer for many students seeking to make ends meet. Education is a full-time job in itself, so earning money during school requires flexible scheduling and a reasonable time commitment; otherwise, it can get in the way of your studies. Several employment opportunities are available for students, including these go-to college jobs, which help pay the costs of education without getting in the way of good grades. Students have leaned on hospitality work for generations, securing employment at hotels, resorts and motor lodges in need of part-time help. 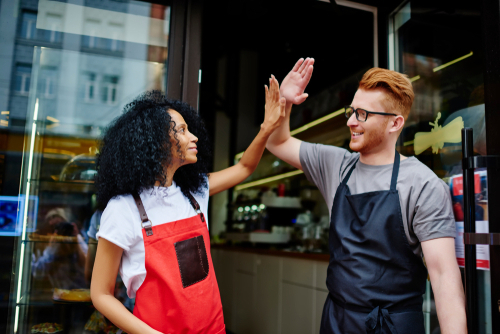 Depending on your skills and experience, hospitality industry work is among the most lucrative part-time employment available to college students. Hotels and motels consistently seek qualified guest services representatives to greet and check-in guests as they arrive, and to handle customer requests during their stays. Additional opportunities exist in housekeeping and maintenance departments; though these positions are sometimes reserved for full-time staffers. Restaurants and food-service providers are always in need of part-time staff, covering a variety of roles relating to food preparation and guest service. Kitchens need cooks and other workers, like food expeditors and dishwashers; while the front of the house calls for part-timers, as well. Restaurant servers, bus people, bartenders and even supervisors are in-demand; furnishing excellent part-time employment opportunities for students. Restaurant work provides flexibility, allowing students to put their hours in during breakfast shifts, or after school serving lunch and dinner crowds. Bartenders are also needed part-time; furnishing some of the most rewarding earning potential for students able to work nights. Banquet facilities are particularly appealing for students, since events are over within a few hours, and pay is good for the part-time servers and bartenders working these functions. Perhaps the most convenient part-time jobs for students are those found right on campus. Various positions need filling, and students seeking part-time work are always preferred candidates. Staff positions include jobs in bookstores, cafeterias, university offices and other campus departments. Some jobs are offered through formalised work-study programmes, so these must be contracted through admissions and financial aid offices. Other roles are open to all applicants; furnishing flexible part-time work for the general student population. Campus job boards and special event announcements are good places to find jobs at school. Another school-related opportunity plugs-in to students’ need for part-time work. 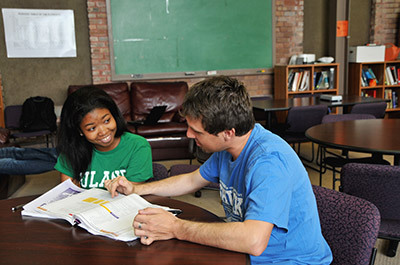 Math and language tutors are in-demand on campus aiding struggling students in these areas. If you are fluent in a language other than English, your skills as a tutor may furnish a decent part-time income, without requiring you to stray too far from campus. For starters, check with foreign language department-heads to gauge the need, and tune-in to classmates requiring help in math and science subjects. You may offer services through an existing programme, or privately, on an as-needed basis. Sports facilities, movie theatres and music venues need part-time workers to sell tickets, seat guests, and operate concessions stands. If you enjoy exposure to cultural and sporting events, working at entertainment venues is a perfect opportunity to make money part-time, as you soak-up American culture. Part-time employment is widespread – when you know where to look. This listing scratches the surface; furnishing ideas to get you started in your quest for part-time work during your educational years. Previous articleWho Am I and Where Am I from?